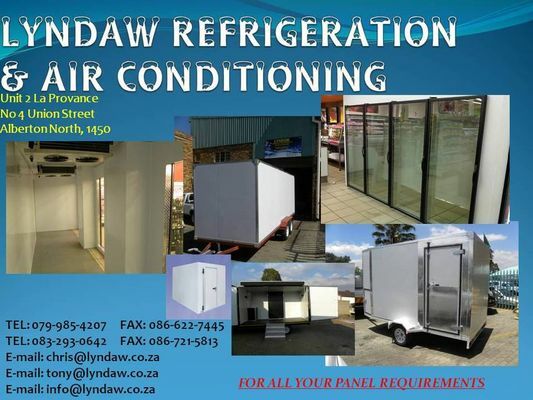 Lyndaw Refrigeration & Air Conditioning was established in March 2011 and has grown into a highly reputable supplier of insulated panels and airconditioning products for various industries and customer specific requirements. With more than 20 years of industry knowledge between the owners, we pride ourselves in having the ability to exceed our customer expectations with every order that we produce. We also supply and install Air Conditioning systems as per requirement and have a reputation for quality and back up service in this line. We supply systems that are guaranteed to have back up spares available and we will not sacrifice quality for price.